Hamburg Gaming is a Racino property that is part of the Buffalo Raceway at the Erie County Fairgrounds in Hamburg, New York. Buffalo Trotting Association Inc owns the facility. Delaware North is the operational partner. In all, Hamburg hosts Video Lottery Terminal gaming, live and simulcast harness racing, and a variety of food and beverage options. The Buffalo Raceway opened in 1942 at the Erie County Fairgrounds in Hamburg, NY with a half mile race track and grandstand. In the 1960’s the raceway was sold by its owners to Sportservice Corporation. Sportservice installed a stone dust surfaced racing strip to allow winter racing in 1971. Plus, renovations also included a new clubhouse and glass enclosed grandstand. The Buffalo Raceway added simulcast racing in the 1980s. In 1990 the Erie County Agricultural Society acquired the property. The latest owners added more than 900 Video Lottery Terminals in March 2004 and the facility became Fairgrounds Gaming. An additional $250,000 in improvements were made in 2010 and Fairgrounds Gaming moved into a new building. In August of that year it became known as Hamburg Casino. Several track improvements have been made in the years since. In fact, the facility is now known as Hamburg Gaming. Hamburg Gaming is located right off US-62 near the New York State Thruway. It is close to the cities of Buffalo, Fort Erie, and Niagara Falls. Hamburg Gaming boats 55,000 square feet of gaming space with more than 940 Video Lottery Terminals. Patrons must be 18 to enter gaming floor and play at Hamburg Gaming. The facility offers live harness racing and pari-mutuel wagering from January to July. However, simulcast wagering is available year round. Hamburg Gaming may seem like a small Racino and harness racing facility. However, the organization is an early iGaming adopter as well. In fact, Hamburg Gaming offers a moblie app for iOs and Android users with free-to-play online casino games in addition to promotions and information about the facility. The app is run in partnership with Bally Technologies and hosts a variety of Bally’s games. 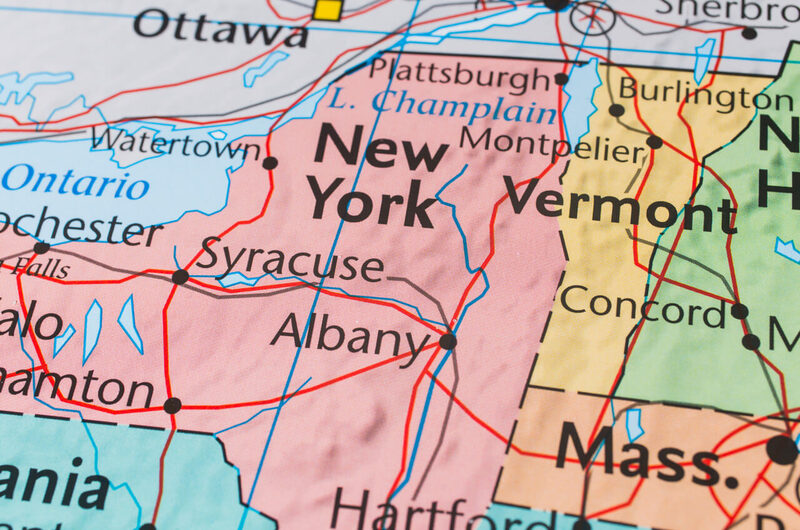 In the first quarter of 2018, New York lawmakers were not considering legalizing online Casino games. However, should they do so in the future, the Hamburg Gaming app suggest this Racino would be ready for it. New York legislators were considering legalizing and regulating online poker in the first quarter of 2018. Hamburg Gaming has no poker room, or connections to the online poker industry. However, the casino gaming mobile app suggests they are early iGaming adopters. Plus, they could have an interest in the additional revenue stream an online poker room could provide. In addition to live and simulcast racing and a huge selection of VLT’s, Hamburg Gaming is directly connected to the Fairgrounds Event Center. Plus, it is part of the Erie County Fairgrounds, which hosts one of the country’s largest and longest-running county fairs. Hamburg Gaming offer free membership into its Player Rewards Club. Players earn points for using all video poker or gaming machines.